Leads are an important piece of data for your CRM. You can use many strategies and tactics to gather leads. At the very beginning of the process to bring leads to you is advertising, and it has two main components — awareness and perception. Awareness is letting people know you exist, and perception is the emotional feeling your target market gets when people connect with your brand. Three types of advertising are useful: pay-per-click (PPC), retargeting, and SEO. All the variables that go into positioning your ad on search engines make for a large, complex system. If you don’t have an in-house expert to manage PPC or SEO (each of these is a different skill set), outsource the work. Most companies charge a management fee for PPC (usually 10-20 percent of your ad spend) or a fixed rate for SEO (usually a retainer based on a minimum number of hours at a specified hourly rate). Pay-per-click advertising is the de facto standard for bringing awareness and leads to your online presence. Google is the dominant player in this market, representing over 90 percent of all search traffic. These ads, listed as sponsored ads when someone searches for a certain keyword on a search engine, provides a link to a specific webpage. This webpage should be a special, targeted webpage (also known as a landing page) that correlates to that ad. If you’re targeting a market segment, make sure the ad and the landing page are relevant and match their message. Your CRM can automatically assign a campaign ID to people who click certain ads. 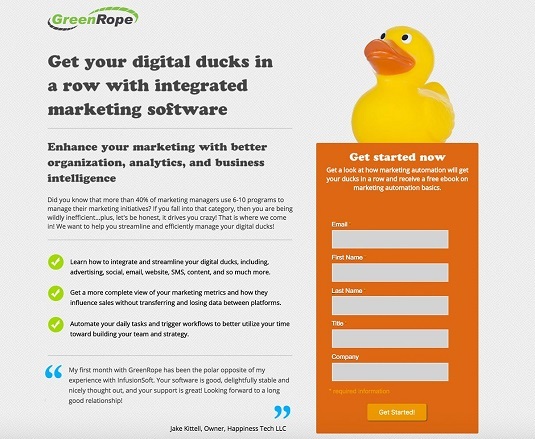 The landing page itself should be simple with a clear call to action. Video is a useful medium for communicating testimonials or an overview of what you do. A landing page with a simple message and a short form. In this image, paid ads are displayed at the top of the page; they’re displayed by the amount advertisers paid. 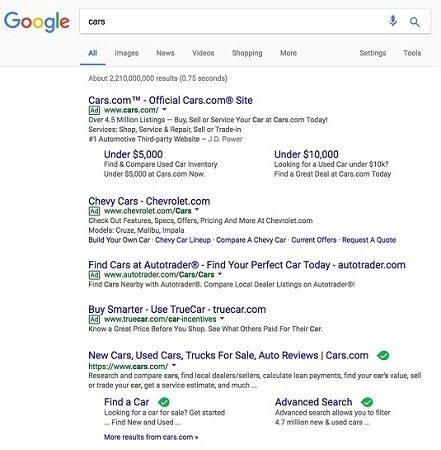 Paid search ads appear at the top of search pages. You can set up pay-per-click ads on other websites such as Facebook, LinkedIn, and Twitter. You can also post ads on content networks. In all cases, you have control over the text and/or imagery in the ad, so be sure the content is consistent with what you’re selling and uses the voice and brand you want to represent you. 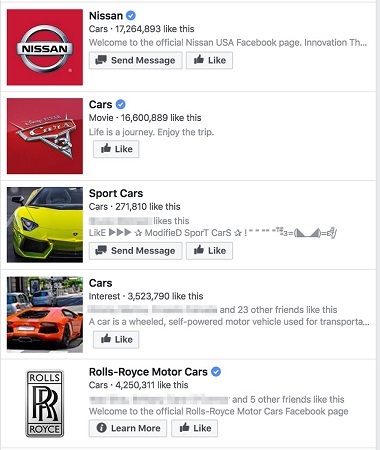 Searching for “cars” on Facebook. You also want to set up retargeting. Retargeting is displaying ads that follow the users around the Internet after they view your webpage. Retargeting is very popular because it’s effective. When you can tag a person as someone who visited your website and have your ads continue to appear to that person, they are reminded of your brand. Retargeting is another way to reach out to your leads, so you must include these campaigns if they work. Make the links that come back to your website or landing pages include the retargeting campaign ID. The ID is stored in your CRM as being a lead source that generated action. Like all your campaigns, by tracking retargeting campaign IDs, you can measure effectiveness and ROI. Search engine optimization (SEO) is more art form than pay-per-click. While PPC is driven by how much you pay for a click, SEO is about search result quality. The reputation and relevance of your website to the keywords someone types into the search engines determines how high your website places on the search page. The better the reputation, the more likely your website is shown to a visitor searching for something related to the content on your website. A popular SEO tactic is to build content (for example, blogs and landing pages) on your website specifically to answer questions that people tend to search for. The more you can answer those questions with useful information, the more likely you are to capture that search traffic. When you see reports on how well your lead capture is doing, you want to be sure you’re looking at relevant data. First analyze your ads. 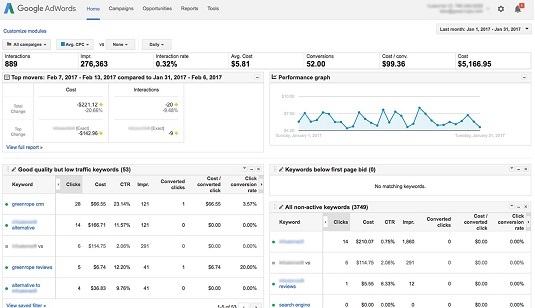 Look at the different campaigns you’re running and measure the click-through rates and costs associated with each campaign,. Google AdWords has robust cost and ROI accounting. One important cost to focus on is the early stage conversion. Conversions, which happen when someone becomes a customer, usually have multiple stages, so you measure the amount of money it takes to bring someone into that buyer journey. For example, the cost to get someone to fill out the form on your landing page. If each click costs $1, and it takes 100 clicks to get one lead into your funnel, the average cost for this early stage conversion is $100. This example represents the average cost to put a lead into your sales funnel. After someone is in your funnel, you can then measure the amount of time and the rate of conversion to each next step of the buyer journey. Progress down the buyer journey may or may not correlate with your cost per click on the ad, as higher quality traffic has more people filling out your form. Numbers don’t lie, but that doesn’t mean you should ignore the general feeling from salespeople. They can often give insights that go beyond the numbers, or may provide an explanation for the numbers. Ask your salespeople if leads from certain sources tend to have common characteristics. Are leads from certain market segments generally interested in a certain aspect of what you’re selling? Do they tend to be more price conscious? Does their behavior generally track with buyer personas you have developed? Be careful of bias from salespeople, however. It’s human nature to remember the more dramatic encounters they have. Bias is very real, and it’s often emotionally driven. If a particular segment or ad channel brings in a lead or two with strong negative experiences to a salesperson, that salesperson is more likely to think that channel is very bad for business, even if statistically that doesn’t make sense. Be sure to back up any conclusions you make about market segments with data.